Q: I have recently been diagnosed with mesothelioma. Do I need an attorney? A: Mesothelioma is caused by exposure to asbestos. There is no other known cause for the development of mesothelioma. Because of this, if you have been diagnosed with mesothelioma, you may be entitled to recover money from companies that caused you to be exposed to asbestos. You will need an experienced asbestos litigation attorney to guide you through the process, explain your options, and take the necessary action to recover compensation for your pain and suffering. 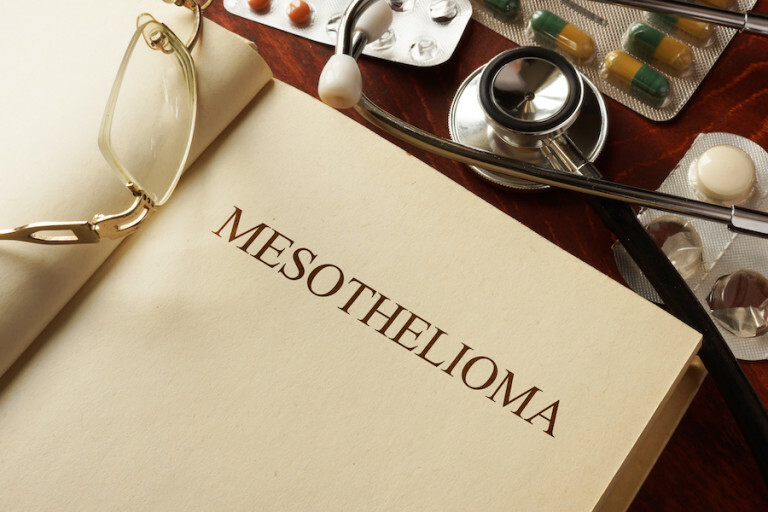 The attorneys at MesoLawyersCare have decades of experience representing people with mesothelioma and a proven track record of verdicts and settlements. Q: What is asbestos? How could I have been exposed to it? A: Asbestos is a harmful mineral that has historically been present in many industrial and consumer products used in the United States. Many products are now known to have contained asbestos including auto parts, boilers, furnaces, insulation, valves and cement pipes. Consumer products, such as talc, have also been found to contain asbestos. You can be exposed to asbestos through direct contact with such products at work or home, or handling asbestos-contaminated clothing. You may not even realize that you have come into contact with asbestos until decades later when a mesothelioma is made by a doctor. Q: I believe I was exposed to asbestos through my job. I was later diagnosed with mesothelioma. How can I pursue a claim against those who are responsible? A: There are two possible methods to receive compensation for an asbestos related disease: (1) asbestos trust funds and (2) civil lawsuits. Each method of redressing your injury has specific requirements and eligibility criteria. MesoLawyersCare has skill, knowledge and a proven record of success in both asbestos trust fund claims and civil lawsuits, including many verdicts and settlements. Q: I have heard of asbestos trust funds on television. What are they and how do I seek compensation from one of these funds? A: Asbestos trust funds were established by companies that made or used products containing dangerous asbestos materials. These companies cannot be sued in civil courts because they are shielded from litigation as a condition of their bankruptcy filings. As part of their reorganization in bankruptcy, these companies were required to set up “trust funds” to compensate individuals who have been diagnosed with asbestos related diseases, such as mesothelioma and lung cancer. Q: I prefer not to go to court. Can I avoid litigation if I qualify for compensation through an asbestos trust fund? A: Yes. Filing a bankruptcy claim with an asbestos trust fund does not involve the court system. Rather, claims for compensation are submitted either electronically or manually. You will need to have specific documentation to support your claim. We regularly file bankruptcy claims for qualified mesothelioma victims and understand the process of getting claims approved. We can guide you through this whole process and let you know if you are eligible to receive compensation through any of these trust funds. Q: What are the criteria for compensation by an asbestos trust fund? A: There are two principle factors that determine eligibility for compensation. They are: (1) proof of diagnosis and (2) proof of exposure. For the first element, you must submit proof that you have been diagnosed with an asbestos-related disease. You may provide a pathology report detailing a cytology evaluation or tissue biopsy that confirms a mesothelioma diagnosis. If a patient dies prior to receiving a diagnosis, the deceased’s family can have an autopsy performed to substantiate a diagnosis of mesothelioma. If a patient’s death is imminent and mesothelioma is the suspected cause, it is important to have a biopsy to determine the diagnosis or have an autopsy performed posthumously to confirm mesothelioma as the cause of death. Second, you must demonstrate that you have actually been exposed to asbestos through your employment or contact with the relevant products containing asbestos. Alternatively, you can show that you were employed at a job site that was authorized by the bankruptcy court to make payments to claimants. Q: How much money can I expect to recover from the bankruptcy court through the asbestos trust fund? A: The amount of money you can recover from the fund varies considerably. The following factors are influential in determining compensation for a claimant: whether the claimant is still living, the claimant’s age, the claimant’s marital status and whether he/she has children, the location where exposure to the asbestos occurred, and whether the claimant has lost wages and income as a result of being diagnosed with mesothelioma. Q: If I am not eligible for compensation through an asbestos trust fund, do I have other options? A: If you have been diagnosed with mesothelioma, you may have a cause of action in civil court. This means that you have the right to sue so long as you meet certain conditions. MesoLawyersCare can help evaluate whether there is evidence in your case that is sufficient to file a civil action in court. Q: How do I bring a civil case for asbestos exposure? A: In order to bring a lawsuit in court to recover for asbestos exposure, a civil litigant must show: (1) proof of diagnosis, (2) proof of exposure, and (3) proof that the defendant committed a tort. As previously discussed, proof of diagnosis can be achieved through a pathology report evidencing a tissue or cytology biopsy or an autopsy confirming a mesothelioma diagnosis. Proof of exposure requires the plaintiff to demonstrate a causal connection between the products supplied or used by the defendant and the plaintiff’s exposure to asbestos. Merely showing exposure to asbestos at some time would not be adequate to substantiate that the defendant’s actions were the cause of the resulting disease. The additional element that sets apart a civil action for compensation (as compared to a bankruptcy trust claim) is establishing that the defendant engaged in some type of wrongful behavior. This is known as a “tort”. An example of a tort, is when a company acts “negligently”, which means it failed to exercise reasonable care in taking an action or failing to act. Q: Is it difficult to show that the defendant committed a tort? What kind of wrongful conduct must I prove? Q: I want to proceed with my claim, or at least know about my legal options. What is the next step? A: If you have been diagnosed with mesothelioma, you may be entitled to compensation for damages including, pain and suffering. We can guide you through the process of obtaining financial compensation, and evaluate your right to compensation through asbestos trust funds or civil litigation. To discuss your case or to learn more about our practice, please call 1-888-568-1177 or reach us through this website.